For a number of years I have been collecting repertoire and I have been doing research into a very interesting project, finding lost treasures of the Romantic period for Piano, Voice and Clarinet. This project is a real labour of love, which started with the obvious and popular favourite, Schubert’s ’Shepherd on the Rock’. However, almost all the other pieces in the genre, beside this and Spohr’s ‘6 German Folk Songs’ are rarely heard in concert halls. I have discovered a charming selection of unknown gems, some found at the British Library and others in Vienna, all of which deserve greater exposure and are a delightful example of where Art song meets the Salon music of the German Romantic tradition. 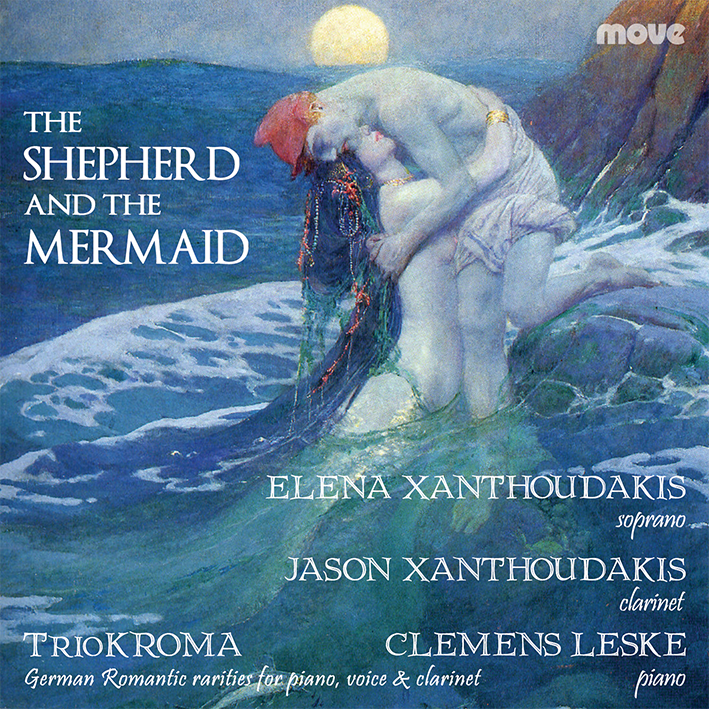 To bring these pieces to life we formed TrioKROMA, comprising myself, my brother, Clarinetist Jason Xanthoudakis, who has played frequently for orchestras such as the TSO, MSO & SSO (in addition to having a solo career) and concert pianist, Clemens Leske, who studied at the Julliard School of Music in New York and lectures at the Sydney Conservatorium of Music. Clemens Leske has played as a soloist for all the national Australian orchestras as well as in London and is a frequent recital partner for Jason. I feel it is a charming collection of works which deserve to be heard by the widest possible audience and this is why I decided we should record them. This recording will be out for release on MOVE Records in March and news will be put on our new website as it comes to hand. It is important to note that 3 of these pieces (‘The Shepherd and the Mermaid’, ‘The Captive Nightingale’ and ‘Er, der Herrlichste von allen’) are being recorded for the first time. Seven of these works have only been recorded once before. The CD will feature music by Schubert, Lachner, Spaeth, Kreutzer, Proch, Lindtpaintner and Kalliwoda. To help encourage more people to play the glorious repertoire for voice, piano and clarinet, TrioKROMA have formed KROMAEditions where these rare pieces can be purchased and taken home to inspire you and your group to perform these newly discovered works.